Palladium surged to a record on Tuesday as the risk of a ban on some Russian exports added to supply concerns for the autocatalyst metal, while gold rose on expectations the US Federal Reserve will stay dovish at its meeting this week. Spot palladium rose 0.4 per cent to $1,589.83 (Dh5,838.6) an ounce, as of 0642 GMT, after marking an all-time high of $1,593.77 earlier in the session. “The market is in uncharted territory and on the fundamental side the ban from Russia has supported the prices,” said Ajay Kedia, director at Kedia Commodities in Mumbai. “Though there are concerns that auto sales are falling, the supply deficit problem is offsetting it,” he said, adding the market is highly overbought. The market is in uncharted territory and on the fundamental side the ban from Russia has supported the prices. Though there are concerns that auto sales are falling, the supply deficit problem is offsetting it. The price of the metal, used mainly in catalytic converters, has nearly doubled since mid-August and is up about 26 per cent so far the year. 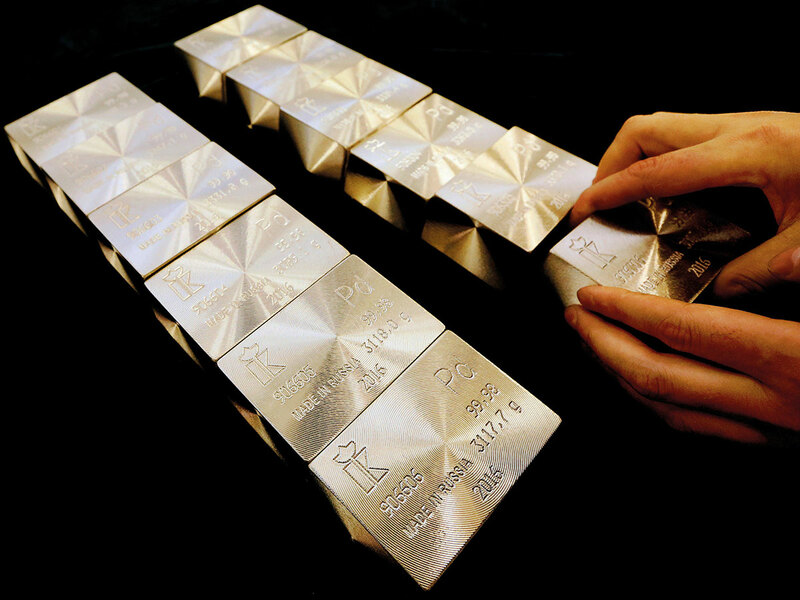 Russia, a major producer of palladium, is mulling a ban on the export of precious metals scrap and tailings to promote domestic refining of the materials. On the demand side, expectations for more economic stimulus by China, the world’s biggest auto market, could be a short-term driver for the already tight market, said Ilya Spivak, a senior currency strategist at DailyFX. Meanwhile, spot gold gained 0.3 per cent to $1,307.12 per ounce, as the dollar languished near two-week lows hit in the previous session on growing expectations the Fed would shift to a more accommodative policy stance. US gold futures rose about 0.4 per cent to $1,306.70. “Gold has been edging up and the main driver is a softening dollar,” said Margaret Yang, a market analyst with CMC Markets, Singapore. The Fed decision and Brexit vote could be gold boosters in the short term, she added. The US central bank will start its two-day meeting on interest rates later in the day. If the Fed is more dovish than expected, the dollar is likely to move lower and in turn support gold prices, while uncertainty surrounding Brexit has increased demand for safety, Yang said. Prime Minister Theresa May’s Brexit plans were thrown into further turmoil on Monday when the speaker of parliament ruled that she could not put her divorce deal to a new vote unless it was re-submitted in a fundamentally different form. Gold is often used as a hedge against political and financial uncertainties. Indicative of investor sentiment toward gold, holdings of the SPDR Gold Trust, the world’s largest gold-backed exchange-traded fund, rose about 1.1 percent on Monday, its biggest one-day percentage gain since January 18. In other precious metals, silver slipped 0.4 percent to $15.38 per ounce, while platinum jumped 1 per cent to $838.62 per ounce.